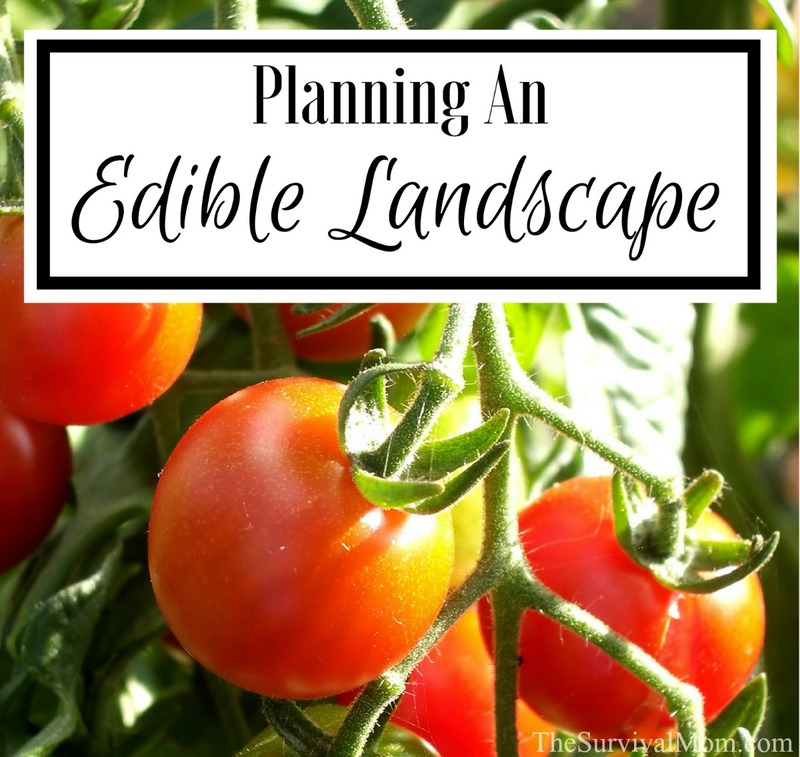 Make the most out of your yard by creating an edible landscape. Every March, I am consumed with spring fever and can barely wait to get outdoors and turn my winter laden yard into a fairy tale garden. This year, I decided to start the long but productive process of turning my small yard into a food producing, perennial palace. Annuals are great, but by choosing perennials, I can build my edible yard little by little each year instead of starting from scratch every time. In addition to my annual vegetable garden that is normally filled with tomatoes, cucumbers, peppers, and melons, I wanted to create more fresh produce for my large family of seven with much less work. My solution was to begin an edible landscape. By edible landscape, I simply mean decorating my yard with food-producing plants instead of only flowers and ground covers. There are several plants that provide beautiful spring foliage and then get to work producing sweet, delicious goodies to be enjoyed later in the summer. 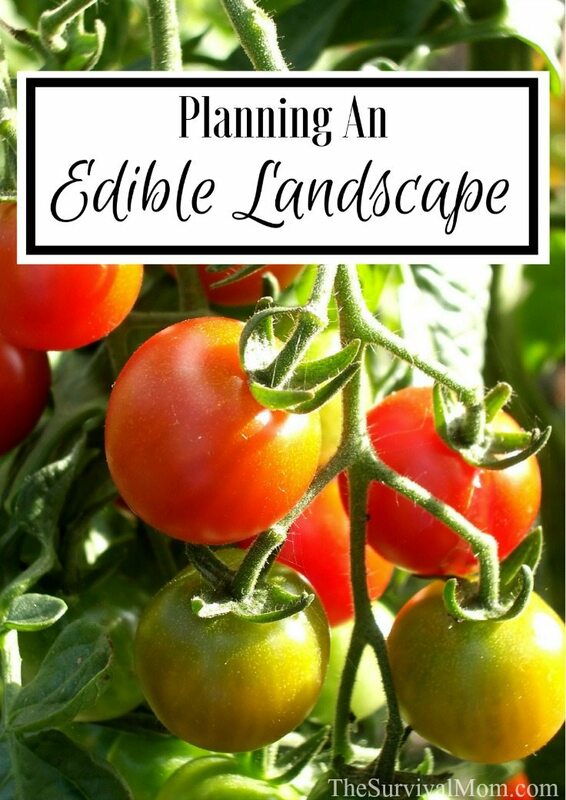 Developing an edible landscape is a long slow process that is built upon each year. Do not try to plant everything at once or get frustrated that all your efforts still have years to yield results. Keep in mind that many perennial plants may take two to three years to develop a strong root system and become established enough to grow and flourish such as berry bushes and asparagus. Fruit and nut trees could take even longer as they need several summers to reach their full potential. Start now and add a little each year; in a few short years, your edible yard will be a rewarding and tasty accomplishment. Spacing – Different types of plants require different amounts of space to grow properly. It helps to have a solid plan, down on paper, so you know how many plants will fit into any given area. Plants need proper airflow to produce and understanding the space requirements will keep you from overcrowding new plants. Lighting – Be sure you are planting your perennials in areas that get the proper amount of sunlight for each particular plant. Make a sun and shade map to find the most and least productive areas of your yard. Pollination – Know what plants are self-pollinating and which ones need a partner to produce fruit. Grouping – Consider what the plants are going to look like when they are full grown. Can the groups survive together without choking each other? Will either of the plants become taller than the rest resulting in the low-lying plants not getting enough sunlight in future years? Zones – Be sure to select plants that can survive in your gardening zone. Not all perennials can survive the harsh winters of the north or the intense summer heat of the south. Design – Get to know your plants. Research what they will look like throughout each season before deciding where to place them in your yard. Fruits and veggies do not have to be contained in one garden area. Make the most out of your entire yard! Be creative – One of my favorite ways to turn boring food gardens into works of beauty is by making a concrete block border. Turn the blocks on their sides so the holes are facing up, fill with potting soil and plant bright and colorful flowers. I like to try and plant flowers that deter deer and other wildlife from stealing my goodies such as marigolds, impatiens, and verbena. Keep track — Make sketches of your plantings and notations of what does well, what doesn’t, and why. Be willing to move things around in the late fall when the plants have stopped producing. The following is a list of some perennial edibles that will help you build your edible yard year after year without starting over. They will provide food for your family in times of crisis and will give you plenty of fresh produce for eating and preserving. Often treated as an annual in the north, artichokes will overwinter with mulch protection and return in the spring. They are terrific for eating fresh. The plants have large lobed leaves that add interest to sunny borders, and the unharvested artichokes produce spikey vibrant purple blooms. With its pointy spears poking through, the unique shape of thriving asparagus can certainly add an interest-peaking aspect to your yard. If left to mature, the spears become 3 to 4 feet tall with delicate stems and leaves. This perennial takes 2 to 3 years for food production but is worth the wait. Blackberries & Raspberries – Typically produce delicate star-like white flowers in the spring and produce tasty fruit throughout the summer. The beautiful color variations of the red to blackberries provides a pop of color to any landscape. Blueberries – The Patriot blueberry produces snow white bell-like blossoms in the spring, sweet fruit over the summer and ends its season with vibrant red leaves before going dormant in the winter. Usually thought of as a northern hemisphere plant, every climate has some form of blueberry that will grow. Lemons, tangerines, oranges, limes provide sunny green tree leaves coupled with the brightly colored fruit. Try planting dwarf varieties that will allow more sunlight for other plants to grow. All of these can be grown in containers and will overwinter inside a greenhouse (or IN your house) when the weather turns cold. Cranberries are an evergreen perennial that can be a little challenging to grow but make a beautiful and tart ground cover. Every climate can grow a type of fruit tree. Depending on the amount of heat you receive each growing season you should consider planting an orchard of apples, cherries, pears, peaches, plums, bananas, figs, persimmons, and papayas. All these provide rich leaves and an array of hued contrast for a beautiful landscape. Be sure that you plant only as much as you can eat or preserve. 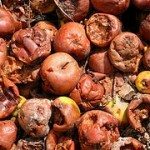 otherwise, the fallen fruit will become a nuisance in your landscape. Plant in areas where fallen fruit cannot damage other landscaping efforts or vehicle windshields. You can add a wall of greenery in a sunny location when you plant a grape arbor. Class up your landscape with the vineyard appeal. Consider training the vines to grow over trellises creating a rainfall of colorful and delicious clusters at harvest time. The large bluish leaves of sea kale make this perennial a beautiful consideration as a border for flower gardens. It is another perennial green that works well for salads. Identified by its fun, pointy leaves, this green grows well in sun or partial shade making this a good landscape filler that is great for a salad later! Remember when considering this perennial that it is the root is what you want. Consider creating a separate planting area for perennials that you can easily dig during harvest without damaging other plants. The soil will need to be loose and prepared for harvest. Every climate can grow some form of nut ree. In the South, you can grow pecans, black walnut, chestnuts, and hickory. In the North, you can grow almonds, English walnuts, chestnut, and hazelnuts. Mature trees often have unique and interesting looking trunks, small green leaves and tiny fruit. Be sure to consider the size of an older tree and the shaded reach of its spanning branches as it matures. A uniquely curious looking berry that resembles strawberries but is white in color and has a pineapple-like taste. Sure to be a good conversation piece in any edible landscape. Big and beautiful, this edible perennial needs room to grow. Bright red stalks and large green leaves. Remember to only eat the stocks of this plant as the leaves are poisonous. Green leaves, petite white flowering blossoms, and large, sweet berries. A must-have for an edible landscape! With long, tapering leaves, this edible perennial works well as a border around trees and often thrives off the organic nutrients from fallen autumn leaves. A refreshing spring flavor used for many dishes. Be sure to consider how you can use wild and foraged plants to enhance what you are already growing. Read the article Wild Violets: 10 ways to put them to use for ideas. The effort that goes into the planning and building of an edible landscape is worth every drop of sweat. It’s a good feeling to know that everything I’ve planted will benefit my family this season and for many seasons to come. Have you considered transforming your backyard or front yard into a food-producing edible garden? Brandi is passionate about her faith and family and enjoys the outdoors, reading, writing, and ministering to others. If I might add, consider planting winter/walking/egyptian/tree onions (they go by several different names). They are among the first plants in my yard to show signs of life in spring, and they self-sow via top sets. The book edible perennials and edible forest gardening (esp volume 2) are a WEALTH of information on this topic!! 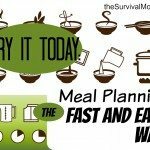 Love your ideas, survival mom, keep up the great work! Sorry, that first book I was thinking of is actually called perennial vegetables, by Eric toensmeier, and the edible forest gardens book is by Dave Jacke. hey this is Vince with disaster survival magazine we are doing a special edition about women preppers, we have survival jane and many others on board we would very much like your input and for you to contribute an article. Please let us know if you have any ideas for articles. We love your website by the way. I LOVE this article!!! Thank you for the great ideas now floating around in my head. The past 2 summers have been challenging with the enormous amount of landscaping and limited amount of time we have each summer. I’ve had a bug to seriously cut back and redo our landscaping next spring. This is my new plan!!!! Everything we plant will be perennial edibles that look gorgeous. Plants that serve a purpose!!! I love your blog and noticed you have a kindle book. Will you also have a hard copy I can add to my library? Your gardening tips are the best I’ve found. Thx for sharing with us. Hi Vicky! Thanks for the very kind words. 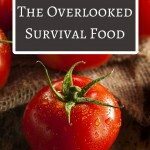 Both my books are in paperback: Survival Mom and Emergency Evacuations. I’ve written a handful of ebooks that are occasionally part of a bundle sale, but for now, those are just in ebook form.